The Jeanneau Leader 9.0 (27′ 2″ LOA, 9′ 7″ beam) joins the series this year with a sea kindly hull by Michael Peters and plenty of sunning space. The sporty design features two swim platforms, a nice-sized cockpit with outdoor galley, bow sunpads, a double berth below plus a salon that converts to another double. 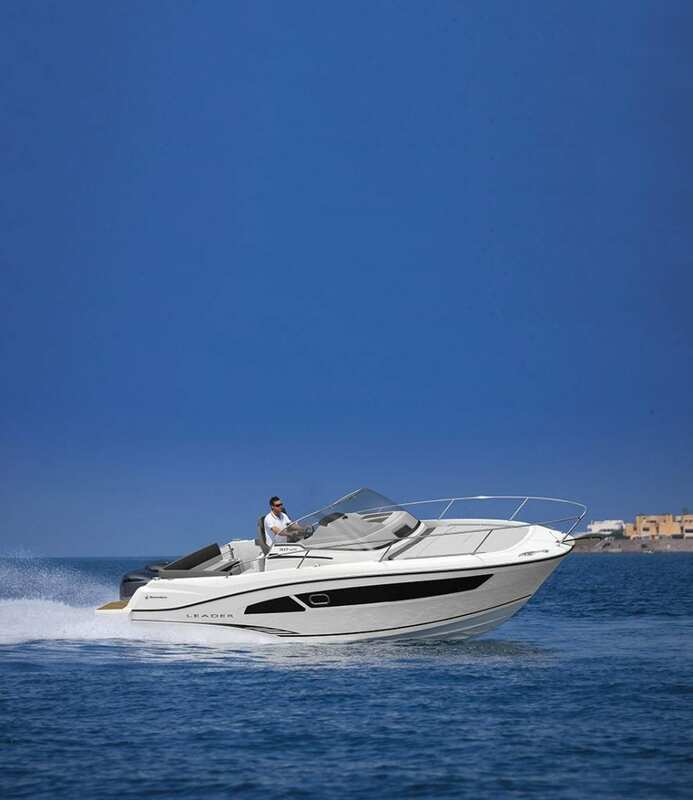 Jeanneau’s NC line is also growing with the addition of the NC 33 (34′ 5″ LOA, 10′ 10″ beam), making its North American debut at Fort Lauderdale as well. A single level flowing from the swim platform to the helm and wide side decks build safety into the design. The cockpit is modular and can transform to be part of the swim platform. A new feature is the side access gate to the water.